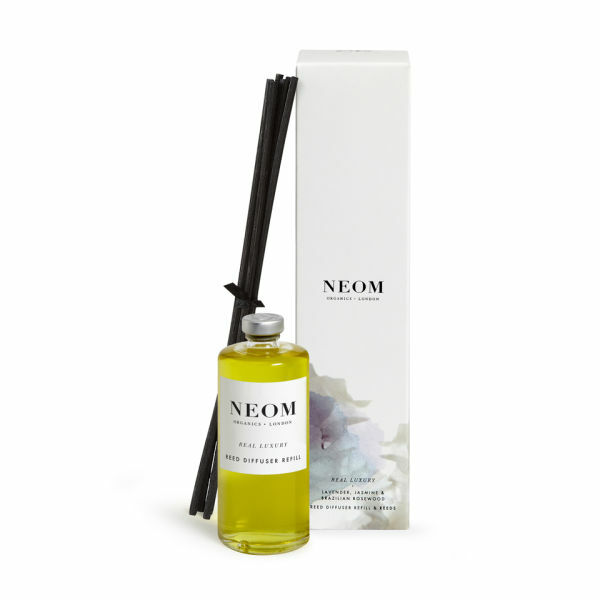 NEOM Organics Reed Diffuser Refill: Real Luxury 2014 (100ml) boasts a soothing and spicy scent that combines heady jasmine with a little French lavender and tones of Brazilian rosewood. Remove the stopper and carefully pour the contents into your existing Organic Reed Diffuser bottle. After one refill you will need to purchase a new Organics Reed Diffuser as the reeds stop working as effectively.